I LOVE banana peppers on sandwiches and salads. 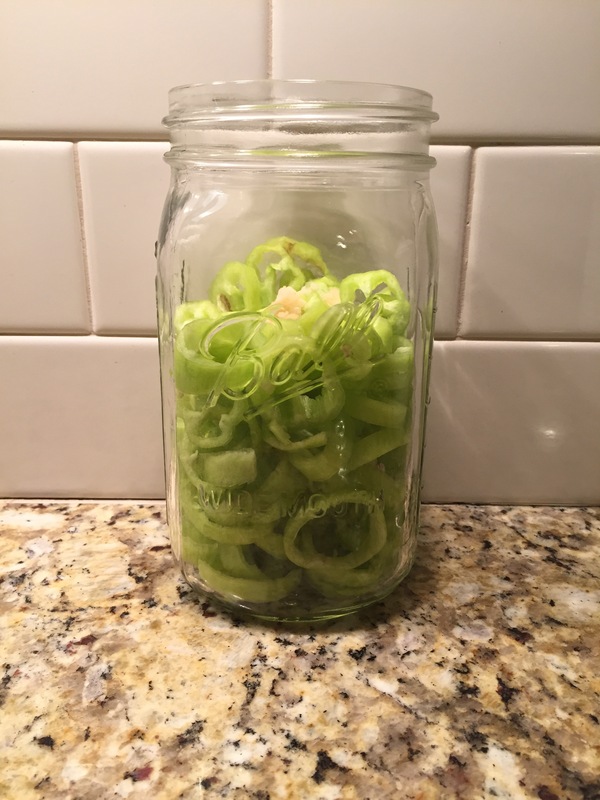 They add a little heat and a ton of flavor….however (for me), only if they are pickled. 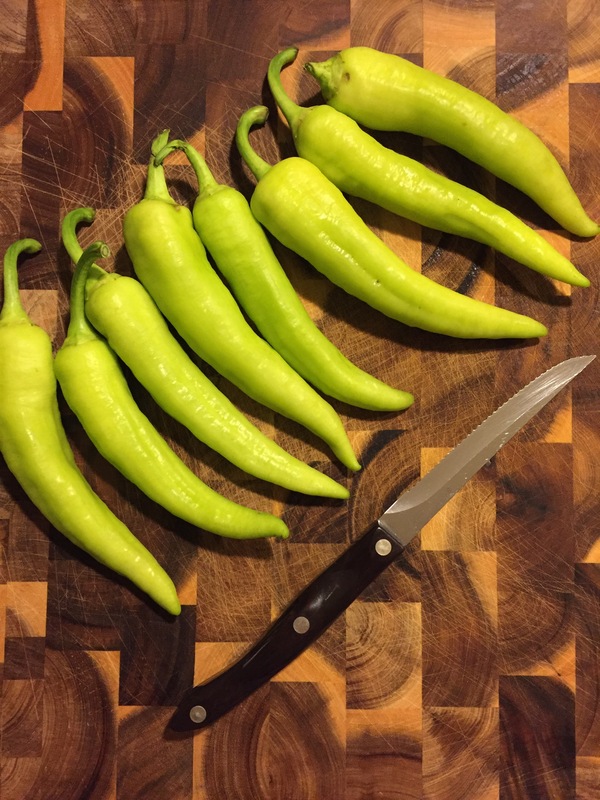 Our garden is kicking off some serious banana peppers already, so I couldn’t waste time preserving these beauties as more are ripening right behind them! These were literally all picked within the last 3 days. 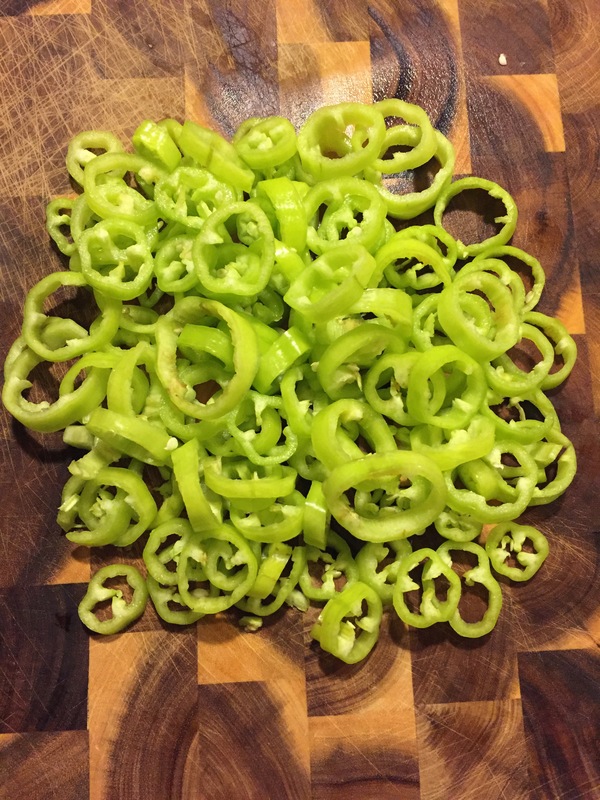 I cut the tops off, ran my knife around the inside to seed and devein, then sliced away. 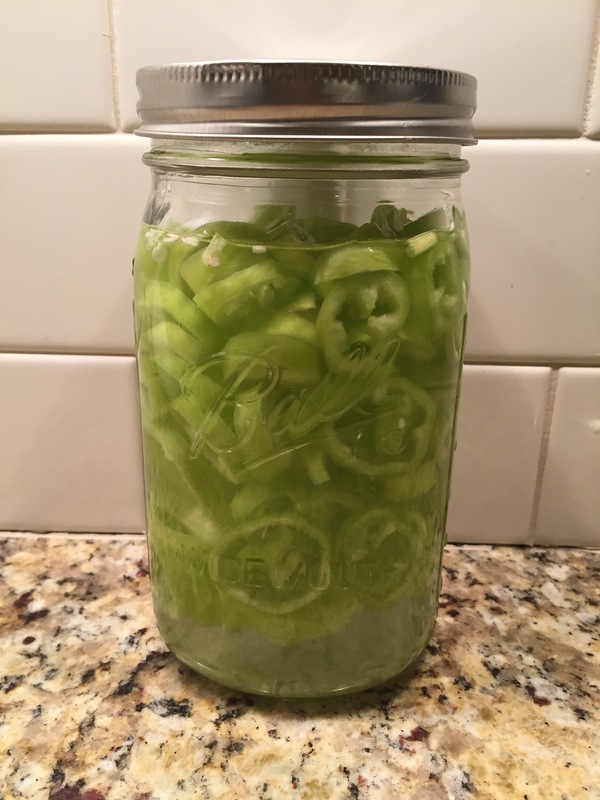 After transferring the peppers to a mason jar and topping with about a teaspoon of minced garlic, I combined 3 cups white vinegar, 2 cups water, 2 tablespoons salt, and 1 tablespoon sugar and whisked over medium heat until the salt and sugar dissolved. Let it cool completely, then pour mixture into your mason jar.